You might have forgotten that Primus song “My Name Is Mud,” all slappy bass and blurted-monotone voice. I wasn’t a fan of it in the ’90s, but tastes change, so I listened to it again yesterday. Maybe, I thought, it would be better this time around. Nope! Still not music to my ears! That’s okay, though, because I have something else that’s muddy and good: this cleansing mud. It’s a Moroccan lava clay mask for the body, so I assumed that it would be gloopy and liquid. Instead, the jar contains a very fine powder that needs to be mixed with water. Then you have actual mud, which has a fresh clementine scent. Very pleasant. I like it on my back and chest, where my pores can get a bit congested; I’ll put it on before my shower, then wash it away. After the shower, my skin feels smooth and softer. Maybe you’re wondering why you’d want to put mud on your body in the first place. Before we get there, let’s put the whole “detox” thing in perspective. Mud can do a lot of good things for skin, but it can’t do everything. For example, mud or clay cannot draw actual toxic substances (i.e., mercury) out of your skin tissue or blood. Just making that clear. But! That doesn’t mean that mud and clay are without their benefits. If you have oily skin, a mud mask will absorb excess sebum, which can help to de-congest your pores. Mud can calm inflammation, and it definitely leaves skin softer. And, obviously, it just feels good to treat yourself to an at-home spa treatment — although you may want to leave the ’90s alt-rock soundtrack for another time. 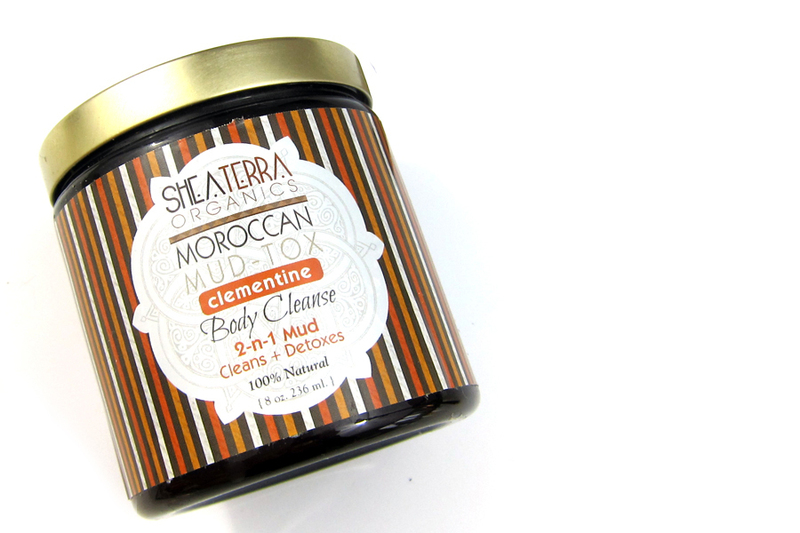 Shea Terra Organics Moroccan Mud-Tox Body Cleanse, $18, Shea Terra Organics.